So getting back to Khubani ka meetha. 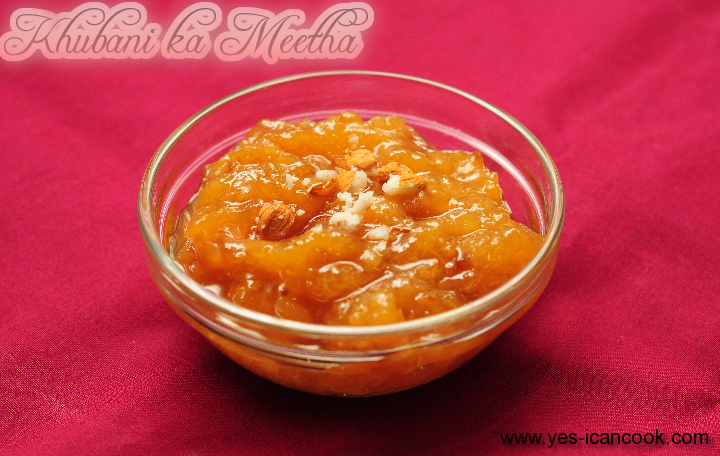 It is prepared with just 3 simple ingredients, dried apricots, water and sugar. It is served as is served with or without chopped almond from the apricot seed or with cream / ice cream. Any recipe that calls for any other additional ingredients is altered and not authentic. 1. 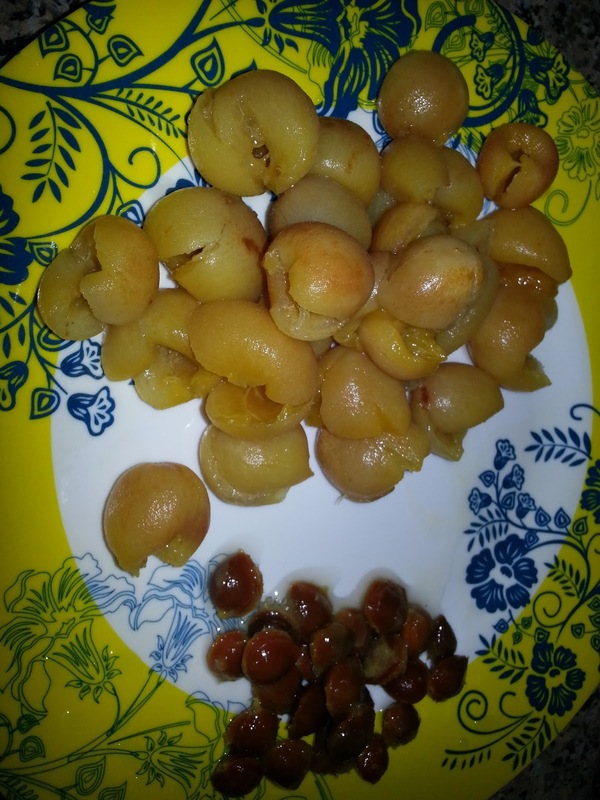 Use whole dried apricots with seeds. 2. 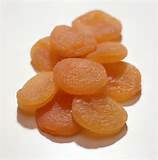 Wash the apricots once to eliminate any dust or dirt and then in a clean bowl soak them in 4 cups of clean drinking water over night or for at least 10 hours. 3. The apricots will become plump. 4. 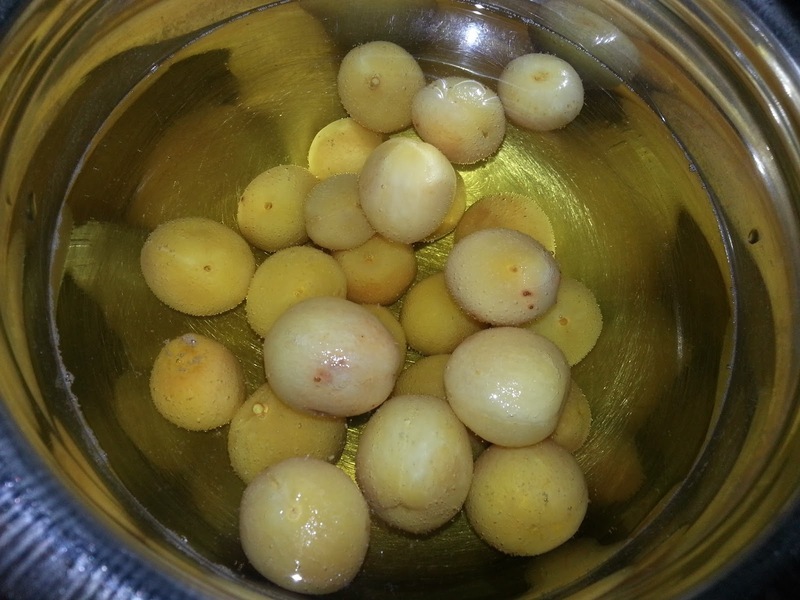 Remove them from the water and separate the seed from the fruit. Keep the water and seeds aside. 5. 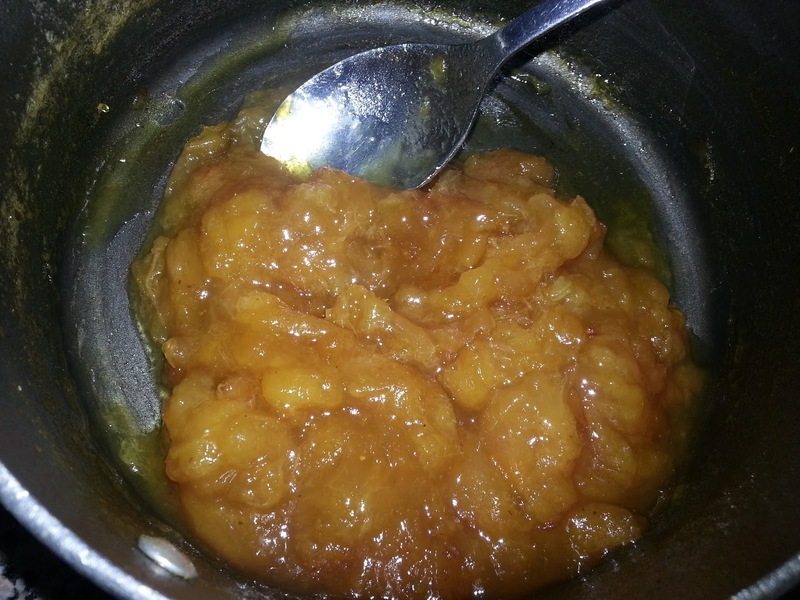 In a cooking vessel add the apricot fruit and the water in which it was soaking and begin to cook. 6. When the water comes to a boil reduce the flame to medium low and continue to cook till the apricot turns very soft and the water has reduced just to the level of the apricots. 7. Add sugar and stir well to melt the sugar. 8. Continue to cook on low flame till almost all the water evaporates. 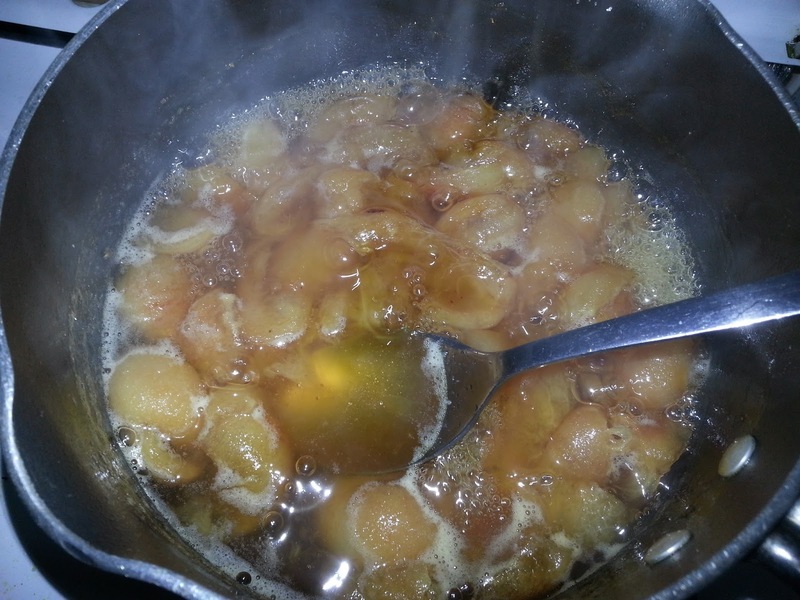 Mash the apricots with the back of a spoon. You can completely mash it up or keep a few pieces which are anyway cooked and very soft. 9. When the water has completely evaporated switch off flame and let it cool. 10. 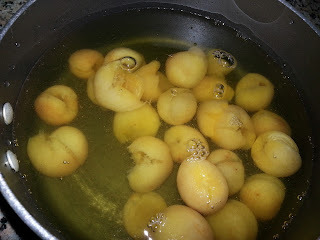 Wash the seeds from the apricot and dry them. 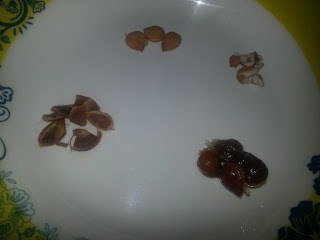 Break the seeds with a nut cracker or hammer and remove a tiny almond. This almond is used as is or can be chopped to garnish the sweet. You can even add it at step 8. 11. 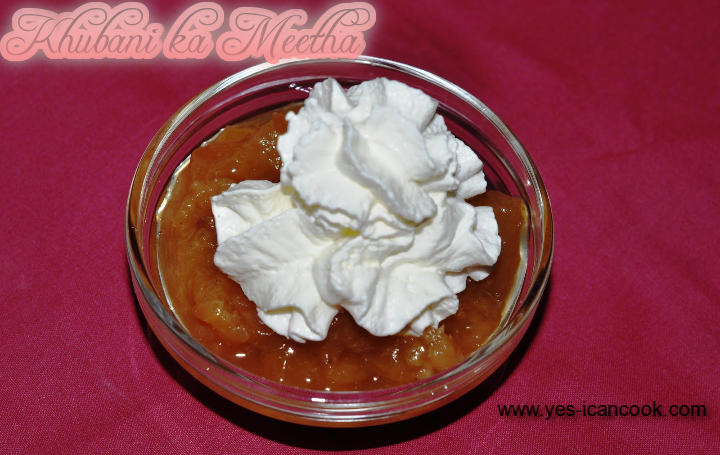 Serve khubani ka meetha warm or chilled. As is or with some cream or a scoop of Ice cream.